Family and community engagement is essential to student success, and our goal is to help families provide the support critical to foster learning and growth. We know that investing time, resources, and guidance will improve our neighborhoods, the city of East Orange, and the future of our children, both in school and later in life. We invite you to believe in our students and engage in education. 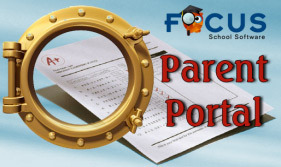 Focus Parent Portal LogoFOCUS is a new, web-based, student information system that allows the East Orange School District to merge all student record keeping, grades, scheduling, attendance, and other student-data into one user-friendly system. One of the outstanding features of FOCUS is that it includes a parent portal that allows parents of students in grades 1 through 12 to view their children's grades, assignments, attendance, and report cards online. 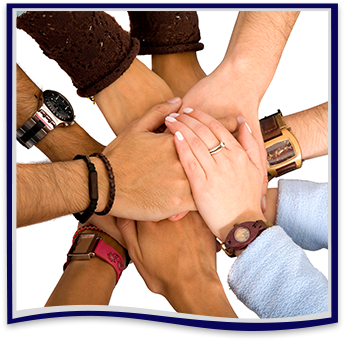 Please use the FOCUS links in the left sidebar of this page to register and access this program. We invite you to read our recent report from June 12, 2017, on the status of the 2015-2016 CAP. For your convenience, you may download it at any time. The Partnership for Assessment of Readiness for College and Careers (PARCC) is a consortium of 17 states plus the District of Columbia and the U.S. Virgin Islands working together to develop a common set of K-12 assessments in English and Math anchored in what it takes to be ready for college and careers. These new K-12 assessments will build a pathway to college and career readiness by the end of high school, mark students’ progress toward this goal from 3rd grade up, and provide teachers with timely information to inform instruction and provide student support. The PARCC assessments will be ready for states to administer during the present 2014-2015 school year. We invite you to use these resources to gain a better understanding of PARCC. The East Orange School District has expanded our mass telephone communications system to one that allows us to send district-level emergency and non-emergency messages to parents by text messaging via the SchoolMessenger System. This new system provides a faster, more direct way for EOSD to get information out quicker. The text-messaging feature will not replace current communication methods. Schools will continue to send letters home and place automated calls to share school information with parents. The new SchoolMessenger distribution system uses wireless/cell phone numbers that parents provide to the Department of Operations to be able to receive text messages. All wireless/cell phone numbers will be stored in FOCUS, our Student Information System, as a part of the students’ important contact information. If the primary contact for each student would like to receive district level text messages regarding emergency and non-emergency events, please make sure the East Orange School District has your cell phone number on file. You may submit your cell phone number by visiting the Department of Operations, East Orange Board of Education, 4th Floor, 199 4th Ave. East Orange, New Jersey. Once your cell phone number is in or Student Information System, you can Opt In to receive text messages by texting Y to 68453. Message and data rates may apply. Stay up-to-date with your child's attendance, grades, and other academic information via FOCUS.